Ever since the Call of Duty series became popular, there has been a deluge of war-based games across all the gaming platforms. Battlefield, Call of Juarez, etc. are just few of the titles from the long list of games in this genre. What’s more interesting is that even on platforms like Linux, this genre is slowly taking off. 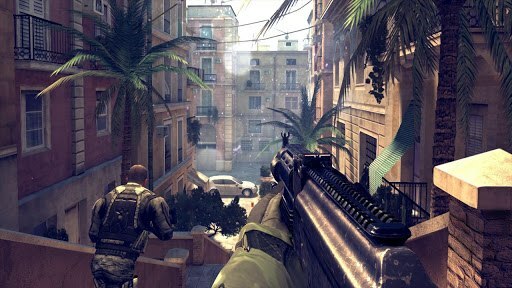 For example, games like Assault Cube and Danger from the Deep manage to create a somewhat real-looking experience of an actual battlefield. Thanks to this genre’s popularity on desktop and consoles, mobile gamers too have been treated with war-based games for Android and iOS. These days, many new titles are coming up that give you a full-fledged war-based game that comes along with a decent storyline and amazing graphics. 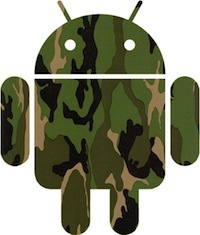 On Android though, we have for you the best titles that you can find for the soldier inside of you. 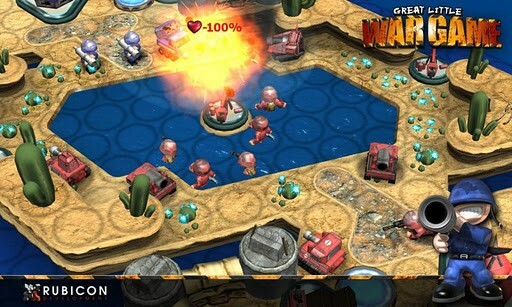 Though a 3D turn-based strategy game, this title makes soldiers look as ridiculous as ever. 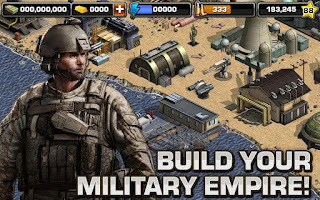 Loaded with absurdity, humor and some amazing graphics, this war game will surely keep you entertained for hours. Once installed, you can play Campaign mode, Skirmish mode, and even showcase your talents against many online players in the multiplayer mode. Though not a full-fledged war game as you may expect it to be, it is still one of the best and the most entertaining strategy games on this platform. Set in the year 2020 when a major nuclear war has broken out, this free game lets you play as one of the 5 countries that want to dominate the world. With over 1.3 million players, this game is a massively multiplayer war-based experience for your Android or iOS device. As a player you get to choose from a list of five countries: USA, UK, Germany, China, and Russia. Each country has its own strengths and weaknesses. After you choose your country, you have to demonstrate your fighting prowess by meditatively using your infantry. The infantry comprises ground, water, and air units thus making the game even more enjoyable. As you are playing this game online, you can ally with another player and invite others to join your own alliance. You can also broadcast messages to your allies making the game even more interesting. Overall, a great way to spend your time on a boring bus ride. 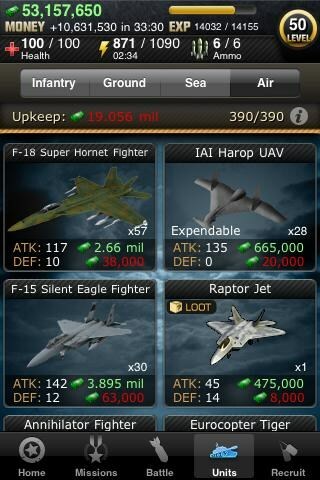 Rated 4.3 out of 5 stars, World War is freely available for download from the Google Play Store. This free game, like the aforementioned World War lets you choose among a set of countries and fight against the world. You can then add people to your alliance, make it stronger and then battle against the biggies. The game lets you play missions so that you can earn cash. You can then use your hard-earned money on buying weapons that you’ll use in combat. Overall, a nice game if you like strategic war titles. Modern War is a graphical massively multiplayer online war game. You can do live battles against other players in a quest to defend your homeland. You get to choose from six countries: US, Russia, UK, Germany, China, and Iran. Once installed, you can start building your bases so that you’ll be ready to attack your opponents. 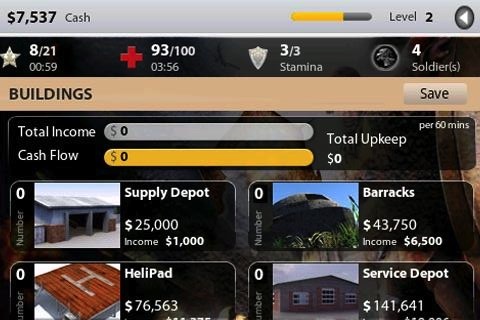 You need to collect a sufficient income from your base to purchase weaponry, so make sure you spend your money well. Overall, the game gives you a good strategy-based experience with nice-looking graphics, something that many gamers would love. Inspired by the Call of Duty series, this new title with eye-popping graphics makes it the most coveted game on the list. A full-fledged first-person shooter game with a storyline and realistic effects makes it worth your every hard-earned penny. The game revolves around you being one of the few elite soldiers who are responsible for tracking down the world’s leaders who are held captive by a bunch of terrorists. If you fail to do so, you risk a nuclear war, putting you in a do or die situation. Not only can you play the whole game in a single player campaign, you can also test your skills against other players online. With a redesigned ranking system and a revamped online interface, Gameloft has ensured that this game doesn’t disappoint its loyal fans. That said, the pricing of the game is a bit on the higher side. Other than that, we have no complaints from this game. I think it is definitely worth buying. Hello. Thanks fot this post. I like such games. I like also movies about war. I have them dowloaded on my PC. I use galaxy tab to watch it anywhere in my appartment. ArkMC application lets me do it on the fly.